David : Talks about what its like being a volunteer fireman, and how woman are proving the men wrong by holding their own with the men as fire fighters. Davids Fire dept (Gorham fire dept) taken by Marilyn On Sunday. David is old order Mennonite, he and his wife Jean live on a dairy farm in New York state along with their children. David is also a volunteer fire fighter and helps protect his community, he shares his story only on Amish Stories. 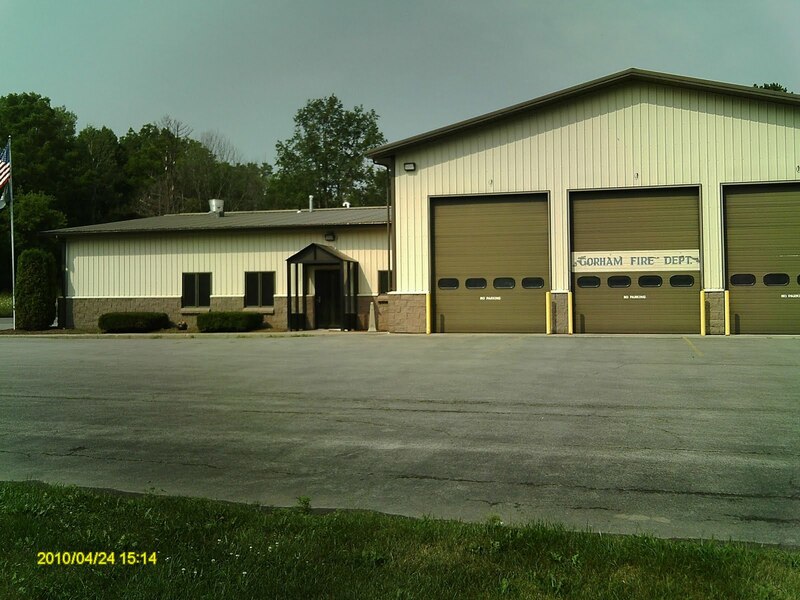 ﻿ ﻿ I was asked for more information regarding my working for the Volunteer Fire Department. Why do I do it? Well, as I said, my Father was a fireman and I got very interested with him. Once in a while I went to a couple of minor fires with him. As I got older I got to work part-time on the dispatcher-that was before all the fancy computers, etc. we have today. At 18, I applied and was approved for training to become a fireman which I did complete. I feel as neighbors we must help one another in any way that we can. When I am at a fire, accident or whatever I feel that I am helping my neighbor. Many times they thank us for what we did. Right now only one of the people on our fire department is Amish. Even though we are Old Order Mennonite, Amish and as the Amish say Englisher. None of us argue or complain-we all have our jobs and we do them. We have more Old Order Mennonite here than Amish so there’s more of us than them. There are also more Englisher’s than us. With the Amish and Mennonite farmers moving in our area we hope we get more fire people. I remember when all the fire people were men. The ladies had the auxiliary. Now we have firemen and fire ladies. In our fire department we have one lady and another in training. Us Old Order Mennonite and Amish found this a bit hard as we feel this is a men’s job, a lady shouldn’t work outside the home in a job like this. Our fire lady has proven us wrong-she can do any job that we can. We go not only to fires and automobile accidents we also go to fairs, car races, horse shows, and many other places where a fire truck may be needed. Usually the ambulance is there also, in case of injury. The worst place I was ever at was an automobile accident a couple of years ago. The girls in the two cars had graduated from high school and were heading to one of the girls parents cottage to celebrate the graduation and stay over night. One of the cars went to pass the other one and the driver that was passing was talking on her cell phone. She didn’t see the tractor trailer truck coming the other way and hit it head on. Both the car and tractor trailer burst into flames. The driver of the truck got out, but no one got out of the car alive. It happened into the town next to ours, but we were closer to the fire than they were so we got there first. The five girls in the the car that hit the truck went. (When the Amish or Mennonites say someone went-it means they died or passed away). The girls in the car that they were passing were very upset-they had avoided the truck. It was the worse. On the lighter side, we have been called to get kittens our of trees. Children out of trees-they got up-but were afraid to climb down. Cars out of ditches. We even lifted a couch up through a window into an apartment window because they couldn’t get it up the stairs. We have been to several grass fires. Of course we were at the Amish man’s whose roof fell him on his barn that Jean told about a while back. Some of the fires have been house fires, also. With the Amish being new in the neighborhood we haven’t had any fires with propane or gas lamps. What we have had from Amish, Old Order Mennonite and Englisher are people who do not clean out their chimneys and get fires. Better yet, rather than calling a chimney sweeper to come and clean it out they buy some stuff down at the store and try to do it themselves. They do not do it as well as a professional will do. If you have a wood stove or a fire place you still should have the chimney cleaned every year. Another problem we have is people that try to light their grill or in the fall leaves with gas. I must admit I have done it myself, but after seeing a fire started like that-I don’t anymore. Since being a fireman I have learned a lot of things. First of all we have several battery operated fire alarms in our house and barn. We even have them in the green house. Also, we use to leave our children in the house if they were napping while Jean and I worked in the barn. After reading of two fires where children were left in the house and a fire broke out-our children come with us-or Jean stays inside and I do it myself. No more leaving the children in the house alone even if the are napping. No more using gas to start fires. We make sure the fire is 100% out before we leave it-even if it is the grill. We have more rules, but I just can’t think of them off hand. We do get our fireplace chimney cleaned once a year. Being a fireman or fire woman is a rewarding job. You never know when you are helping a person as a fireman or woman when they will be helping you in some way. Even if they don’t it’s knowing you were there when they needed you.